West Nile Virus on the Rise? Here’s a quick article we came on one of our favorite sites, pctonline.com. Yes, we actually enjoying staying up to date on pest control news. The article discusses the rise of WNV in some California cities. Still a ways from Philadelphia, but with summer right around the corner you can never be too safe. 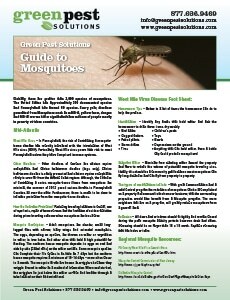 ELK GROVE, Calif. – West Nile Virus activity in California is up from this time last year. A total of 18 counties in California have registered West Nile virus activity in comparison to 11 counties this time in 2011, according to the most recent statistics compiled at Fight The Bite, California’s West Nile Virus website. As well, the first human case of WNV was discovered in June, when a Kern County woman was hospitalized after contracting the virus. At this time in 2011, no human cases had been detected. Numerous mosquito and dead bird samples have tested positive for West Nile virus in Sacramento County, according to the Sacramento-Yolo Mosquito and Vector Control District. Sacramento County has accounted for 160 dead birds so far, out of the California total of 223 dead birds, according to Fight the Bite. The District is advising residents of Sacramento and Yolo counties to wear effective mosquito repellent and to make sure mosquitos are not breeding on their property. The District recently conducted aerial spraying to combat mosquitos and West Nile virus over areas of South Sacramento, and results show the number of mosquitos significantly decreased in the area treated as compared to untreated areas, the District said.